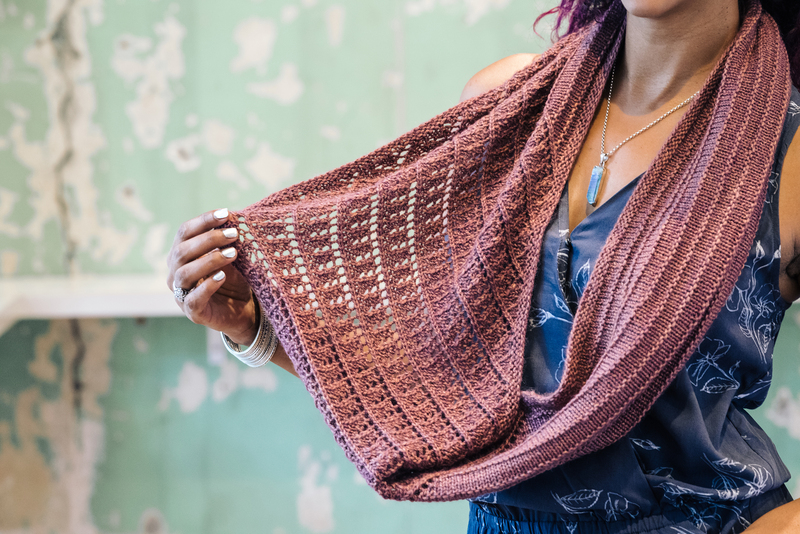 My latest collection came out in August – four lacy pieces in The Fibre Co. Road to China Light with Kelbourne Woolens! Road to China Light is made up 65% baby alpaca, 15% silk, 10% camel, and 10% cashmere – so it’s super duper soft and so, so warm! So we decided to go with a lace theme, something that I appreciate since I overheat easily. Photos by Linette Kielinski via Kelbourne Woolens. Cathedral Grove is a nice huge wrap, worked from side to side in 3 colours of RTCL. I adore this colour combo, especially that gold! 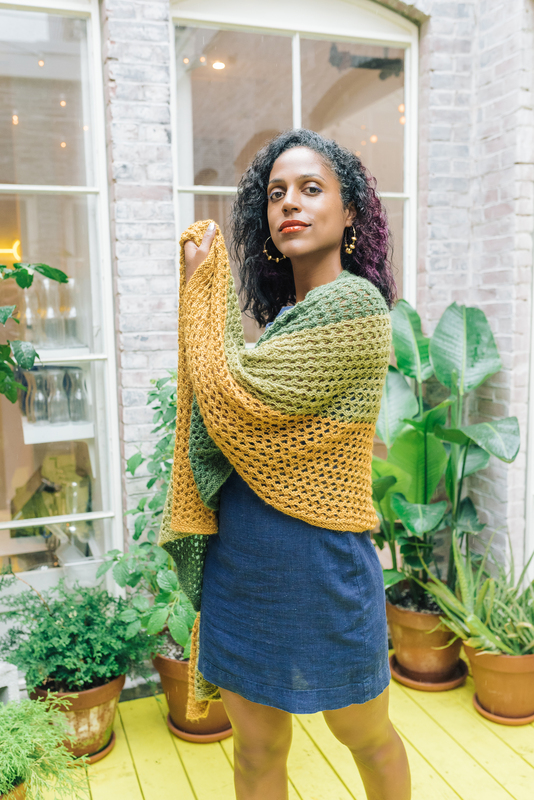 A simple 3 row pattern means this piece is reversible (a good thing for wraps!) and the slipped stitch edging keeps the edges tidy. Hopewell Rocks is a simple tee worked in 2 pieces (front and back) with short knit-on sleeves and an all-over intuitive lace pattern. I’d love to see this over a dress! Mackenzie River is a cowl I’m quite chuffed about – it has a diagonally travelling lace pattern and easy ridged stockinette. 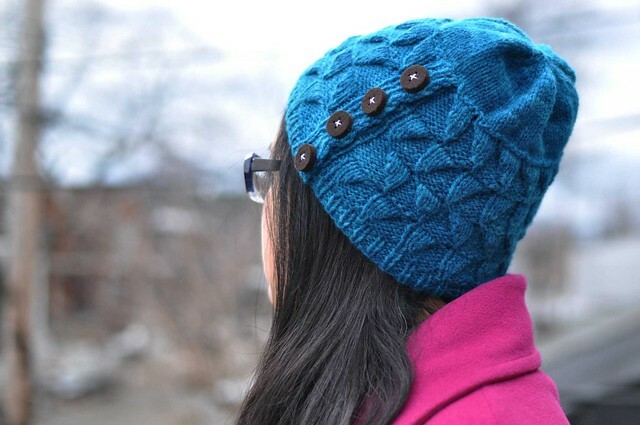 Perfect for knitting on the go, once you get the 2-round lace pattern memorized! 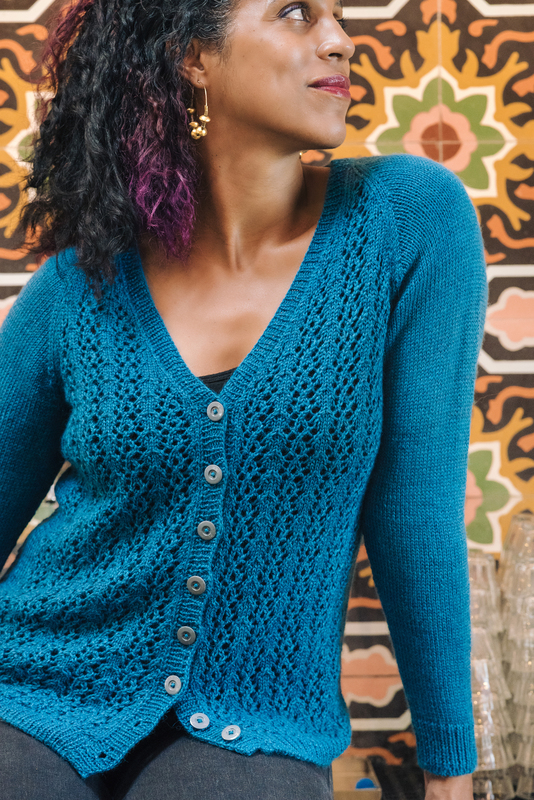 Rainy Lake is the type of cardigan I wear all the time – soft, warm, and easy to throw on over almost anything! Lace panels are worked on the front and back, with long stockinette sleeves. Rainy Lake is knit in pieces and seamed, and available in sizes 33-57.25″! I also did a fun interview with Kate about the collection and my work. Bonus: Sewn Bind-off tutorial for Mackenzie River – it’s a little labour intensive but I love the look of this sewn bind off for cowls and wraps. It matches a cable or long-tail cast on perfectly.